Miracle-P series CMM is perfect for the dimensional inspection of mechanical components with tight tolerance and parts with complex geometries and free-form surface. It is the ideal solution for the CMM buyer looking for greater flexibility and accuracy in a coordinate measuring machine suited for applications in aerospace, automotive, medial equipment, and more. Miracle series CMM can be equipped with contact and non-contact probe system of Renishaw Company. It can also be equipped with LS series high accuracy laser scanning probe, LV series high accuracy CCD video probe to realize rapid scanning od complicated parts (doing Reverse Engineering), non-contact measuring of small size parts. 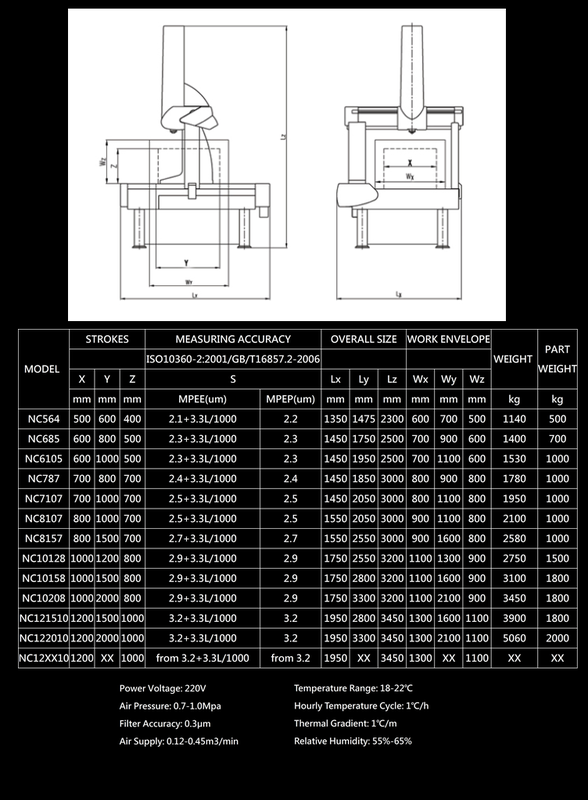 Each Miracle-P series CMM is checked and certified meeting the application test procedures required by ISO standards.